We meet clients all the time who have spent several thousand pounds upgrading their old 10/100mbps network switches and routers to newer Gigabit devices and are left scratching their heads when their network speeds seem no different to before. The truth is that a fast network requires more than just a shiny new Comms Cabinet and if you want to trully see a difference then you need to examine your network from the ground up. The most import part of your network are the cables which carry your data around the office. If your office is older than 10 years then chances are you are running CAT5 cables which are the older, unshielded type. Whilst CAT5 can potentially acheive speeds up to a gigabit, chances are that you will see performance upto 500mb/s or below. Because these cables are unshielded they are also highly vulnerable to nearby inference from power cables or other electrical devices. The newer CAT6 cables offer improved shielding whilst the current CAT6A and CAT7 cables offer extremely good shielding and speeds up to 10-gigabit. Remember that your patch cables are no different to the cables running through the building so it’s no good wiring a CAT6 office and then patching it all together with old CAT5 cables. Poor wiring in your sockets and patch panels can create a major bottleneck in your network and so you should ensure that all of your sockets have been fully Fluke tested to ensure no loss of signal. Chances are that your network will be wired to the RJ45 standard which supports frequencies up to 600mhz (CAT 5/ CAT 6) but if money is no object then the newer ARJ45 standard supports frequencies up to 5ghz (CAT7) because the pins are spaced further apart. With decent cabling and wiring you shiny new Comms cabinet can now play it’s part. 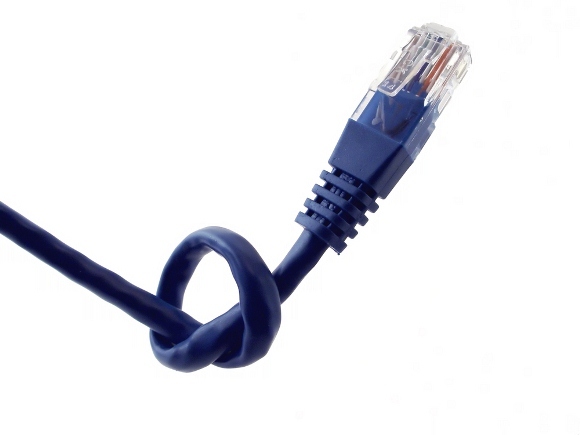 For older CAT5 networks you will be fine with older 10/100 switches and routers however for CAT6 you should ensure that you have gigabit hardware throughout. Again, if money is no object then CAT7 switches can support up to 10gbps per port (and beyond). The final piece of the puzzle is you computing hardware itself. As a bare minimum you should ensure that your systems have gigabit network adapters installed but this is just the tip of the iceberg. The speed of your processor, hard disk, and memory bus can all create a bottleneck. Your operating system can also apply filters to your connection which can slow everything down. Linux generally outperforms Windows and Mac in-terms of raw networking performance but again, software and hardware are both major factors.